Chart a better course for your small business advertising with Valpak of Cape Cod & the Islands. Introduce yourself to new customers and build brand loyalty with the direct mail marketing power of Valpak. Choose the neighborhoods most valuable to your business and Valpak of Cape Cod and the Islands will show you how shared direct mail can help you gain market share affordably. Capture people on the go and those who are seasonal with digital products. As a Google Premier Partner, Valpak has been certified to provide you with precision keywords to help people find you faster. If you want black-and-white proof of performance, Valpak of Cape Cod & the Islands has solutions. The performance tracking tool tracks your direct mail piece with a URL and call tracking number placed on both your website and print piece. A convenient dashboard helps you monitor your ROI like never before. Drill down to the ZIP code and connect with the Cape Cod consumers you value most in towns like Bourne, Sagamore, Sandwich, Falmouth, Mashpee, Marstons Mills, Cotuit, Centerville, Osterville, Hyannis, Barnstable, Yarmouth, Dennis, Chatham, Harwich, Brewster, Orleans, Eastham, Truro and Wellfleet, Massachusetts. For specific dates and coverage, contact your Valpak of Cape Cod & the Islands representative. 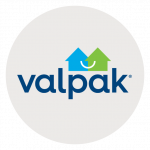 Valpak of Cape Cod & the Islands is an independently owned Valpak franchise.